In the spring of 83 BC, 40.000 Sulla’s troops landed at Brundisium. Young Gnaeus Pompeius, approached to Sulla and brought to him two of his legions. Lucius Cornelius Sulla announced that he guarantees to Italian citizens all acquired rights. Despite this, Samnites managed to give persistent resistance all the way to the end of the war just like the Etruscans. Although Marius supporters did not have a large army and they had not a unique plan for the battle. Sulla and military leaders optimates conquered enemy armies of Samnites and Marius supporters. In the last battle in which Samnites tried to cross very offensive, 82 BC Sulla managed to defeat them at the entrance to Rome at the battle of Colline gates. After this, a city Praeneste (Palestrina) was last stronghold of Marius supporters that surrendered to Lucius Cornelius Sulla. Only a small number of Marius supporters managed to escape, and Marius son, a consul for the year 82 BC Gaius Marius Younger committed suicide. After that events, followed a brutal fighting: at the Field of Mars (Campus Martius). Several thousand captured Samnites was killed – screams of people that were killed could hear Sulla in the temple Bellona (Senate sessions). On that screams Sulla responded that “he ordered several villains to be punished and that senators should preserve the serenity”. In Samnium and Etruria were sent punitive expeditions, after which Samnium was never recovered completely. Special lists, proscription have been assembled and in those lists were all people that were suspicious to Sulla. On these lists Sulla’s opponents were outlawed. Also properties of Sulla’s opponents was confiscated. Slaves were freed and anyone who killed or hand over a person from the list (proscriptions) was awarded. Heads of murdered Sulla’s opponents were exhibited in the forum. There were a large number of unpunished murders for personal things. Around 90 senators and 2600 knights were killed, and their assets was sold in an auctions, and Sulla’s supporters (among which were freedmen and veterans) acquired huge assets. 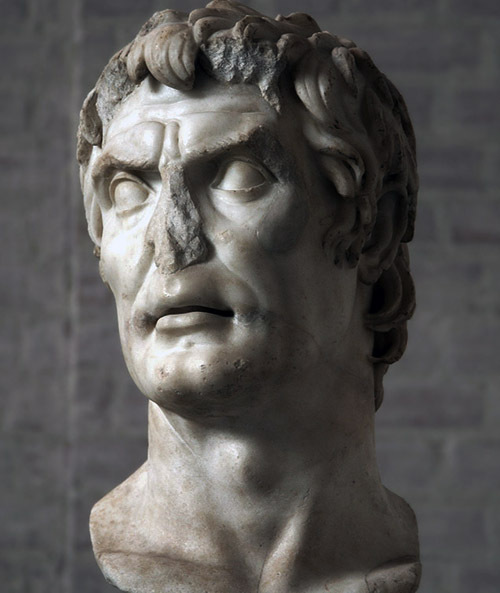 Sulla pointed out that it was necessary that he be granted an extraordinary empowerment to bring order in the Roman Republic – this was an attempt to find legal forms for his position. According to old tradition in Rome, control at that time was in the hands of temporary ruler – interrex, because there were no consuls. At the end of 82 BC, interrex Lucius Valerius Flaccus Older conducted in Comitia the Law about the Sulla’s dictatorship. Sulla also conducted the Law about naming himself as dictator for unlimited amount of time. Sulla was elected as dictator and he won a dictatorship in order to issue Laws and to arrange the state. He had an unlimited authority and in all areas he was able to dispose the life and assets of the citizens according to his sole discretion. He was able to share the supreme power (imperium), to establish colonies, and to lead a foreign policy and to issue the Laws regarding any matter. Senate became the highest state authority, and the number of Senate members went from 300 to 600. The new members were mainly worn out Sulla’s generals. Due to the new principles in making list, a senatorial rank became for life. The number of permanent judicial commissions increased. Senators were elected, just like they were elected before Gracchus, and chairmen of judicial commissions were praetors. Since then instead of 6 they elected 8 praetors and instead of 8 quaestors they elected 20. Imperium consul was only related to Rome and Italy. After one year consuls and praetors were given duties in the provinces. From now on, quaestors could not be younger than 30 years, praetor younger than 39, a consul younger than 42 years. The re-election for each duty could be made only after 10 years. Censorship was actually abolished. The tribunes have become Lawyers of some plebeians just like in the time of an early Republic. Tribunes could only bring to the Assembly those legal projects which were previously approved by the Senate. The right of intercession was significantly limited. Former tribunes could not run for another magistrature – and with this young nobles were deprived of an opportunity to begin a career in tribunate. By strengthening the Senate, the rights of comitia were limited. Comitia were obliged to accept numerous Cornelius Laws. They suspended sharing of grain to the plebs. Direct support of Sulla’s dictatorship was the army. For army it was conducted confiscation of the land in Italics cities. Because of the army a colonies of veterans (100 000 inhabited people) were established in Etruria, the Lazio and Campania. Sulla with this fulfilled his promise and beside all that he managed to renew medium and small land property. On that way Sulla always had satisfied army. In Rome, Sulla relied on 10 000 Cornelians . Cornelians were proscribed slaves which were given freedom and rights of citizens. Through them Sulla pressured the Assembly. Suddenly, in 79 BC, Sulla withdrew to his country villa near Puteoli (today Pozzuoli) to be with family.